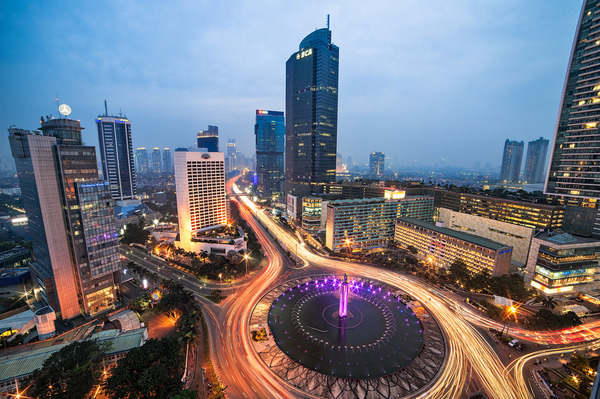 Capital city Jakarta’s historic mix of cultures – including Javanese, Malay, Chinese, Arab, Indian and European – finds echo in its architecture, language and cuisine. Visit the old Dutch colonial buildings of the old town, Kota Tua… stroll in Jakarta’s Chinatown, Glodok and watch traditional wooden schooners docked at the old port of Sunda Kelapa. 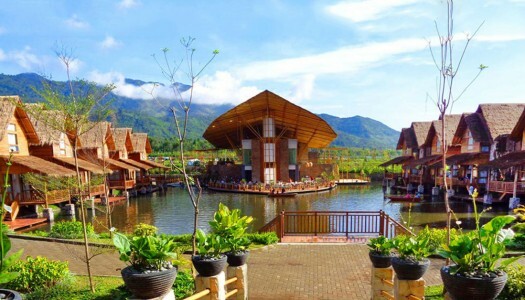 The Taman Mini Indonesia Indah cultural village is a beautiful recreation of the traditional architecture and customs of the Indonesia of yore, and also offers stage performances and museums. Marvel at the National Monument and the treasures of the National Museum. Shop galore at the city’s umpteen snazzy malls, or then go antique-hunting in Jalan Surabaya. Never a dull moment here! Blessed with cooler weather by virtue of its elevation, the city of Bandung charms with its colonial architecture, tea plantations, university-town ambience and shopping culture. And don’t forget the Tangkuban Perahu, its very own live volcano, where you can peep into the bubbling mud and sulphur below! This ‘Paris of Java’, as it was called during the Dutch colonial period, retains landmarks of the 1920s and ’30s such as the Neoclassical Gedung Sate and Art Deco mansions. To re-energise, Kesari Tours recommends a soak in the waters of the Ciater Hot Spring! Known for its traditional arts and cultural heritage, Yogyakarta’s ornate 18th-century still functioning royal complex is a delight to the eye. Classical Javanese dance shows and concerts of gamelan music, puppet performances and local handicrafts all exert their appeal. 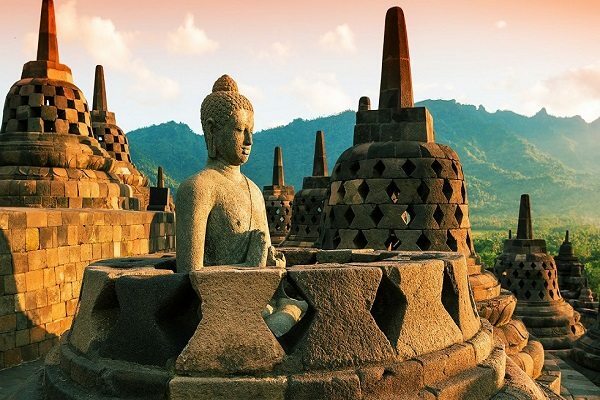 Visit Borobudur, one of the greatest Buddhist monuments in Southeast Asia, which is the biggest non-monastic Buddhist temple in the world. Admire its immense multi-tiered structure with the Great Stupa at the top, standing 128 feet above the ground, surrounded by several smaller stupas. Enjoy the vibe of the large student population that throngs its cafes. Blessed with forested volcanic mountains, rice fields, beaches and coral reefs, Bali entices like no other. Bathe at its beautiful beaches, and pick up treasures at Celuk, the capital of gold and silver-smiths. The hill town of Ubud is a must-visit for its spa treatments, yoga and ecotourism. 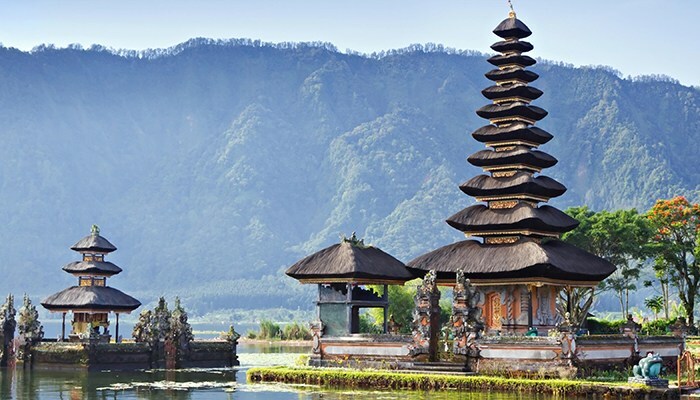 Admire the woodcarvings in Mas, and go volcano-watching at Mount Batur. From the Water temple, Sebatuand to the fantastic rice terraces of Tegallalang… from Bali’s second largest temple, the official temple of the Mengwi Dynasty – Pura Taman Ayun, to the Monkey Forest of Alas Kedaton, where hundreds of holy monkeys live… the land brims with attractions. End your adventures with a soothing dinner cruise as the sun sets on yet another beautiful day. Next Post Let’s Go Glamping!